Houthi Forces Deliver Another Blow To Saudi-led Forces In Yemen 4.7777777777778 out of 5 based on 9 ratings. 9 user reviews. Houthi forces Have conducted a series of new attacks against Saudi-led forces in Yemen. Houthi fighters have destroyed an armored vehicle of Saudi coalition forces in the northwestern Hawzan area after targeting it with an IED. They also destroyed two armored vehicles of the Saudi coalition in al-Mukha, in west of Taiz with anti-tank guided missiles, killing and wounding pro-Saudi militants inside them. The Saudi Arabia continued its air bombing against the Houthi-held areas. Three citizens were injured as a result of five Saudi airstrikes in Sa’ada. In Sana’a, Saudi warplanes carried out two airstrikes on the Garban area in Sinhan and the Nakm area in the capital. In Taa’z, The Saudi Air Force carried out 7 airstrikes on the Al-Hamli area and on the Camp Khaled. NOBODY stands a chance against the flip-flop army – least of all the Saudis. And I see the MSM is crying crocodile tears for the people affected by the drought/famine in Africa. Yet not a peep about the 20 million Yemenis dying from starvation from a Saudi/Western-imposed embargo and refusal to let food aid into the country. So if the US starves 20 million people because they don’t like our puppet leader (Hadi) we chose for them, then that’s OK because… well, just because. Obey the boss of the world (and our Saudi masters) or die. But famine in Somolia and South Sudan! 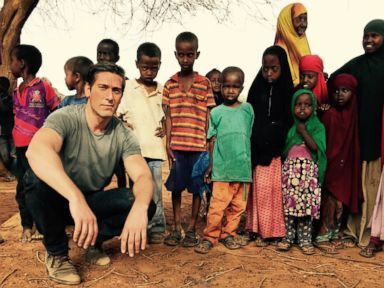 Oh, the humanity… David Muir from ABC (US) was almost in tears reporting from there. “If you little brats were Houthis in Yemen, I would be calling in the Saudi Airstrike myself right now! Yes, and let us not forget that the Saudis sit on the Human Rights Council and the Womens’ Rights council too! If someone made it up I wouldn’t believe it. VERY nice job ho u this keep inflicting MAXXXX damage against SATANIC Saudis! Make them hurt so bad they decide to just give up and pull out!